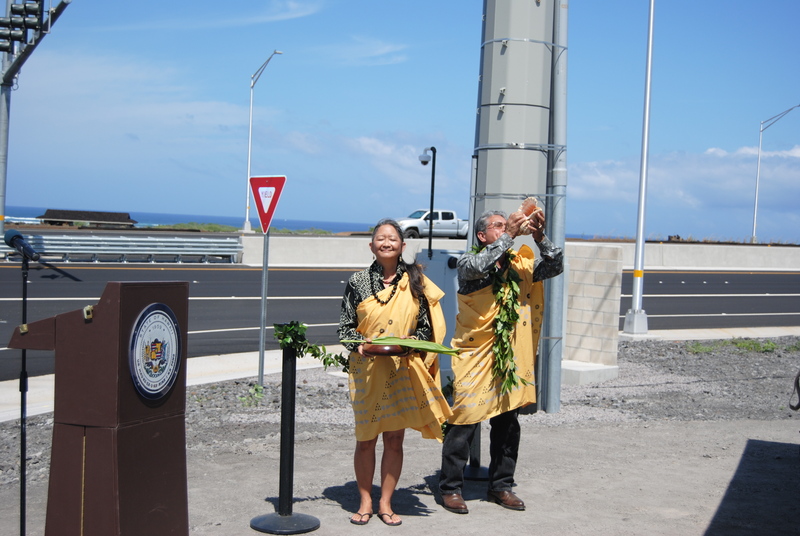 KONA – The Hawaii Department of Transportation (HDOT) hosted a ceremony Thursday, Aug. 9, 2018 to dedicate the two lanes added to the Queen Kaahumanu Highway between Kealakehe Parkway and Keahole Airport Road. 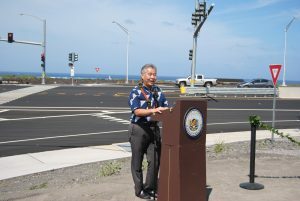 The additional lanes were built as part of the Queen Kaahumanu Highway Widening Project, Phase 2, which widened approximately 5 miles of 2-lane highway and constructed a 4-lane divided highway. “The widening of the Queen Kaahumanu Highway has been a top priority ever since we broke ground three years ago. The highway is the lifeline to some of the best Hawaii has to offer. 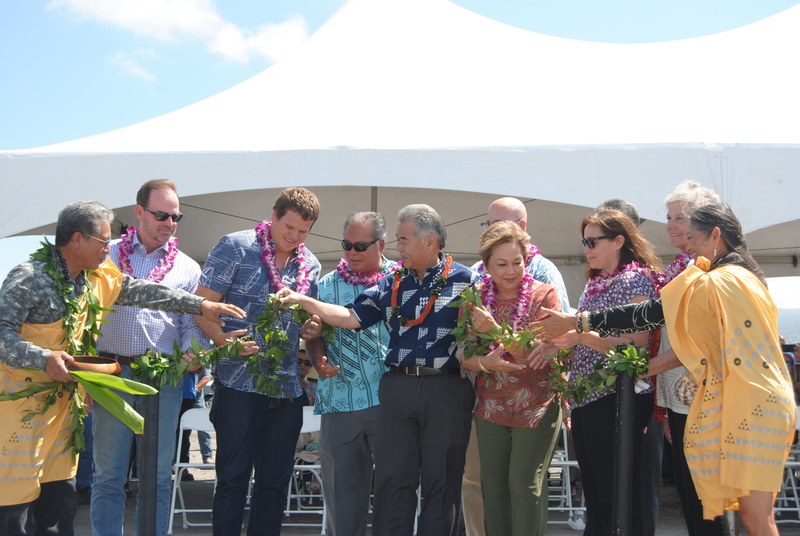 I am grateful to the project team for overcoming the challenges, and to Kona residents and business owners for their patience and support,” said Gov. David Ige. 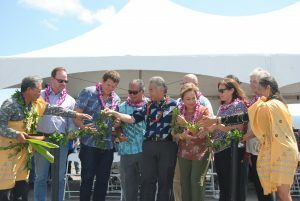 Phase 1 of the Queen Kaahumanu Widening Project widened two miles from Henry Street to Kealekehe Parkway, where the Phase 2 project began. The Phase 2 project was awarded to Goodfellow Bros. Inc. as a design-build project and broke ground in September 2015. Six signalized intersections, drainage systems, utility relocations, safety features such as guardrails and medians, and landscaping befitting the location of the highway were incorporated into the project, which also reconstructed pavement in areas of the existing highway. Total project cost is approximately $121 million. Please courtesy “HDOT” or “Hawaii Department of Transportation” when using the following photographs. 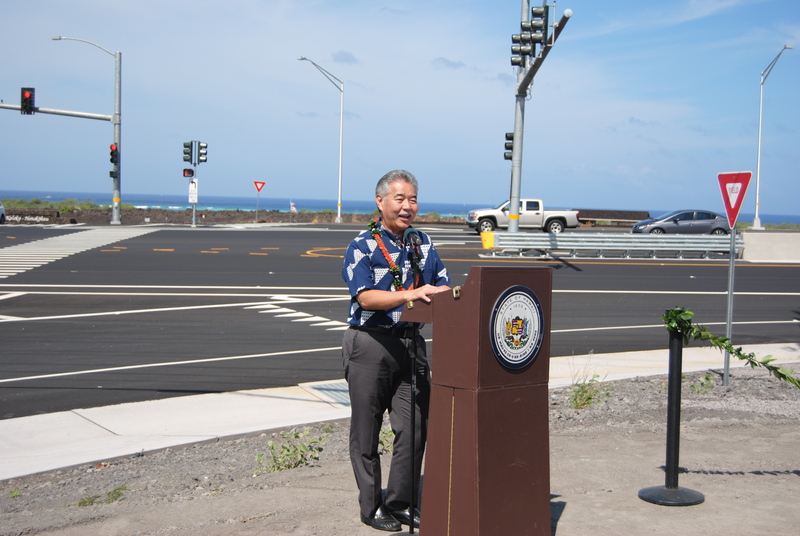 Governor David Ige celebrated the opening of the new lanes on Queen Kaahumanu Highway. Kahu Anna Akaka and Daniel Akaka Jr. blessed the new lanes of Queen Kaahumanu Highway. Governor David Ige participated in the ceremonial untying of the maile lei at the opening of Queen Kaahumanu Highway widening with (left to right) Kahu Daniel Akaka Jr., Goodfellow Bros. VP of Operations Ed Brown, Goodfellow Bros. CEO Chad Goodfellow, Hawaii County Managing Director Wil Okabe, Governor David Ige, Senator Lorraine Inouye, Representative Nicole Lowen, Representative Cindy Evans, and Kahu Anna Akaka.